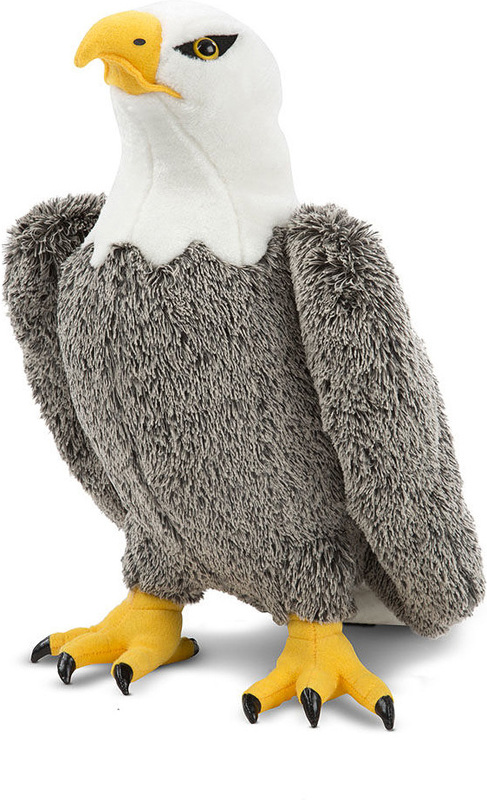 Incredible details - including bold yellow beak and feet, shiny black talons and expressive eyes - grace this Eagle from Melissa & Doug. 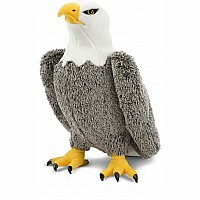 The combination of an amazingly soft finish and sturdy wireframe construction makes for a quality, long-lasting toy that is sure to appeal to patriotic youngsters ages three years and up (and grownups as well). Measures approximately: 16.15 x 13.40 x 6.70 inches..